A continuous loop of sterling silver comes together to make the Infinity Bangle. Just like it’s sister, the Infinity Ring, this is a classic, understated piece that will never go out of style. The bangle chimes ever-so-sweetly as you move, and is light and comfortable to wear. 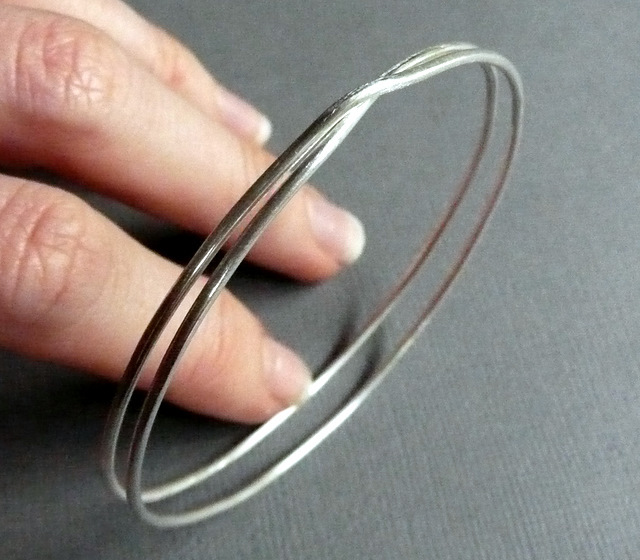 Made from recycled sterling silver, the Infinity Bangle is handformed and finished with a matt glow. The measurement given is the diameter of your bangle. If you need a larger or smaller size, please leave a note in the message to seller, and I will endeavour to make the bracelet in your size!